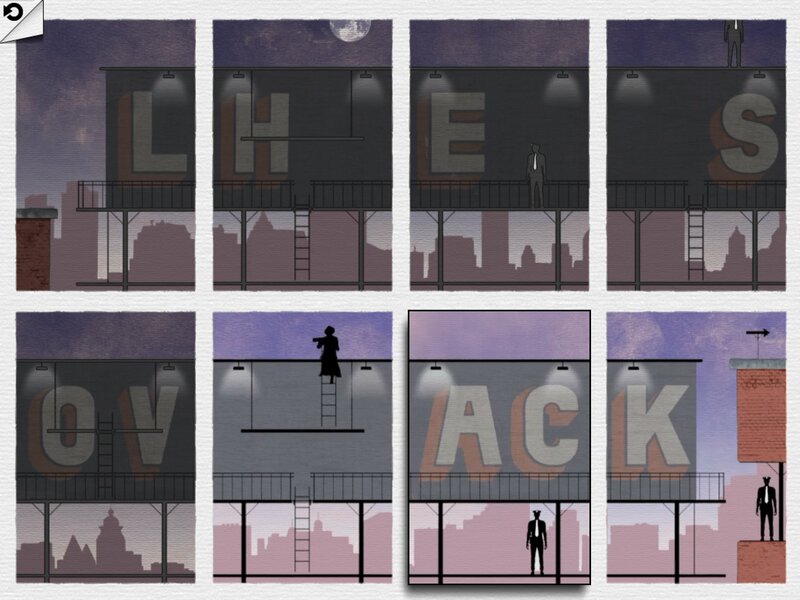 ‘Framed’ Review – Let’s Try This One Again, Shall We? 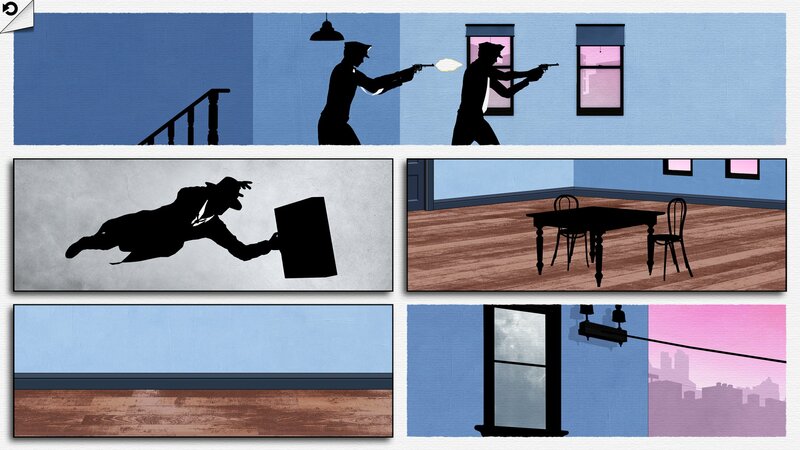 Framed ($3.99) feels like the first half of what should be a really good game. It’s a title with a great premise: rearranging comic book panels both in order and rotation so that the protagonist in the scene makes it to the end without getting detected by cops or falling to their doom. The cops in the world of Framed were not the academy’s best and brightest students, as they don’t even turn around for the protagonist running through doors right behind them. “See no evil, hear no evil, speak no evil" is the motto of the Framed Police Department, but good for the characters in this game, all trying to get control of a mysterious briefcase. 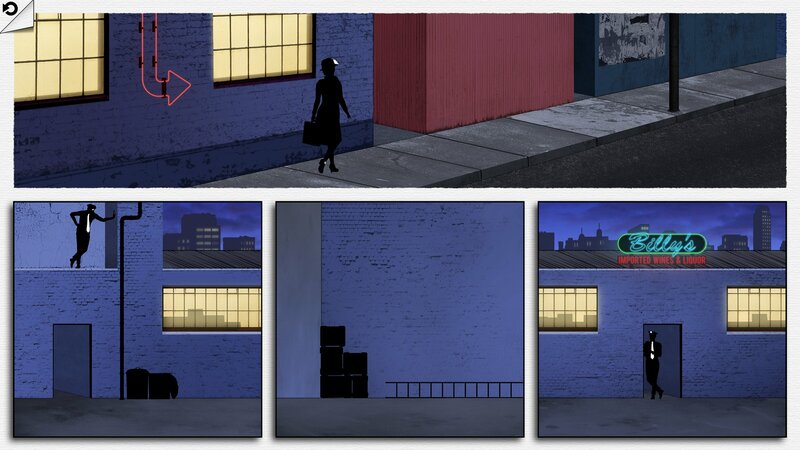 The concept is really cool to play around with, and invites some clever puzzle-solving. 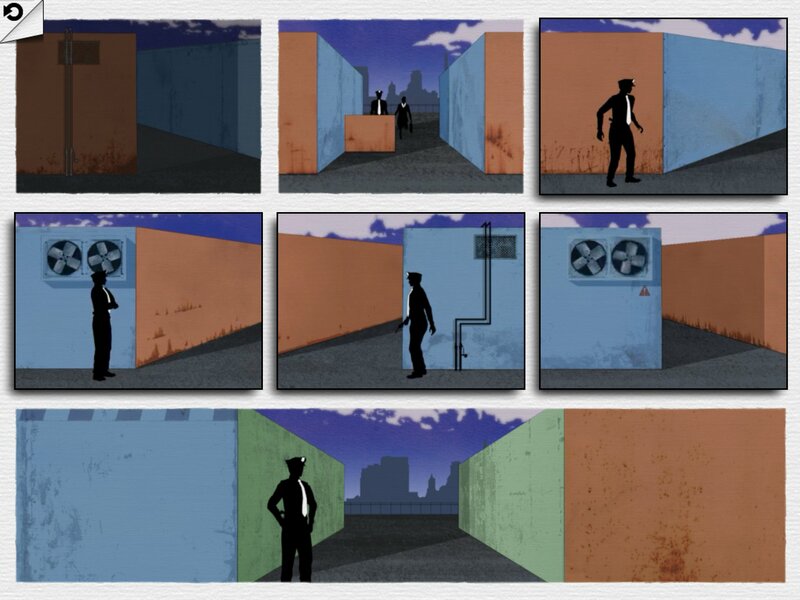 The game plays with the way that comic book panel layouts work, meaning that swapping two panels may cause the way that the protagonist runs through them to be different because they’re running a different direction now. So, the puzzles become about spatial awareness, and figuring how to deal with the way that temporality changes as the puzzle pieces do. Odds are, you’ve played nothing like it. The problem with this ingenious concept is that it never feels like it’s quite used to its full potential. The best moments are when the game allows for the rearranging of narrative elements to cleverly impact the proceedings, like early on when it’s possible to move an event with jumping over a table around to block bullets. The moments like this are the game at its best. The game uses spatial puzzles as well, where ladders, steps, and pathways can be moved and rotated in order to get to safety. But these form the bulk of the game’s puzzles, and their novelty wears thin after a short while. It’s not that they aren’t designed well, it just feels like the trick of playing with comic panel continuity has been made. As well, the sections where panels can be rearranged while the scene is going on have some novelty of their own but don’t make sense. For example, there’s one scene where a luggage rack can be knocked down to stun a passing guard, and then through rearranging panels, can be returned to, in order to get the key necessary to progress. This is all fine and dandy but rearranging panels properly feels way too clumsy, and it kind of goes against the comic book nature of the proceedings, to instead have it so that the order can be rearranged. I suppose the padding of the game’s length and addition of variety is welcome, but it was a poor addition to the game. The story also lacks any dialogue whatsoever, which seems clever enough, but it gets a bit confusing after a while to follow the narrative. This may be intentional, though. But also, the shifting nature of who the player is controlling doesn’t help with the clarity of the narrative, as sometimes a supposed villain is being guided by the player, and it doesn’t quite make sense as to why. There’s a big twist in the game, and it serves more as an element of confusion than a big revelatory plot twist. Even the music winds up being repetitive and samey-sounding over time. It’s all a shame because the ideas here are top-notch, but they never quite come together to make a top-notch game. Given the brevity and lack of progression in the concept, this really does feel like half of a larger whole stretched out to fill one game, and it’s sad because Framed oozes with promise but is ultimately a letdown. Previous PostPrevious ’80 Days’ Gets Time’s Game of the Year – Could More Mobile Games be Honored This Year?